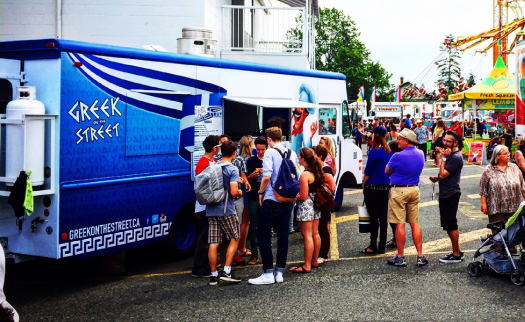 With our Greek on the Street food truck, you can enjoy our signature Greek cuisine on the go! 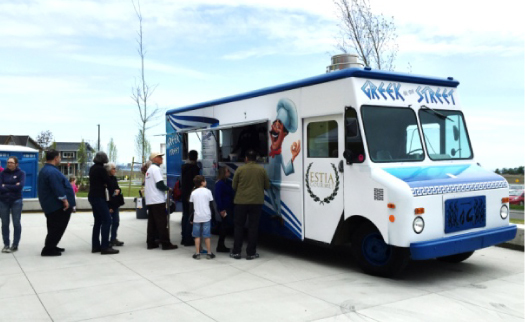 It’s our goal to become your favourite food truck. 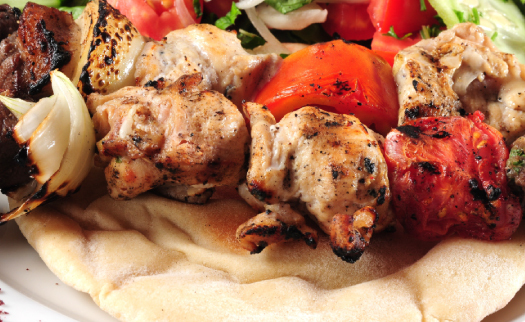 So, whether you’re in the mood for a vegetarian pita wrap with delicious zucchini and eggplant or you have a craving for a heavenly lamb gyro, we can quash your hunger with our fresh flavours! 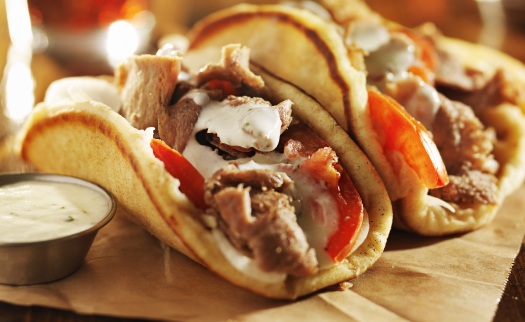 We are proudly providing Victoria with the same great tasting, authentic Greek food that can be found on every street corner in Greece. 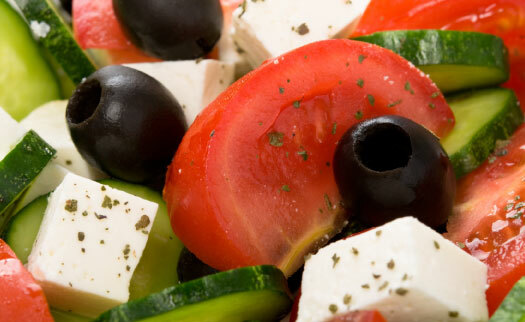 Our focus is providing a traditional Greek experience with amazing quality and excellent service. We wouldn’t have it any other way, and if you ask our customers, they’ll tell you the same. 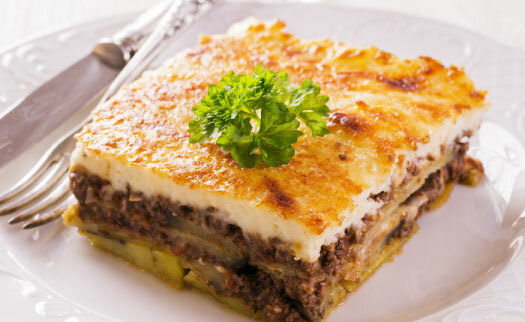 We put a lot of love into our Greek cuisine that will make you want to come back for more! Looking for a fun and delicious option for your next event? 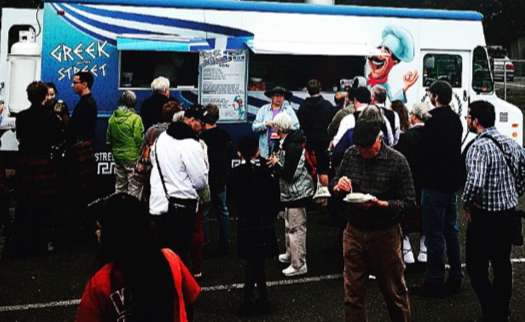 Great news ­- our food truck is available for private bookings! Just like our Estia Gourmet catering service, we can provide a customized menu to satisfy your taste buds and match your theme. Give us a call today to learn more. 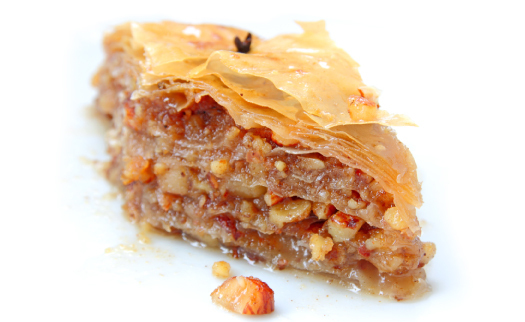 *Greek on the Street menu can be customized for catering and events.